A TV is meant to be a source of entertainment for every common house hold. There are many trendy and stylish TV stands being used all around the globe. 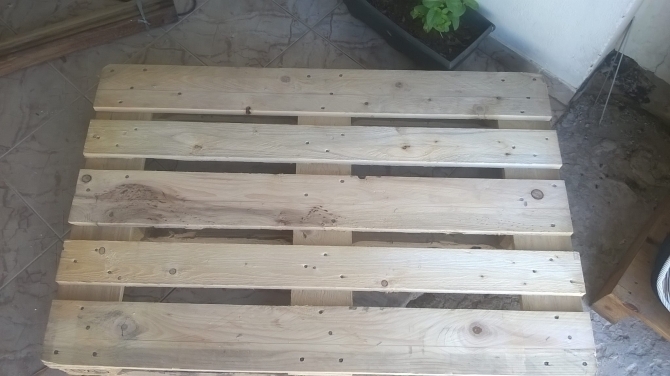 But today we are going to work on a special TV stand that is upcycled with the pallets. 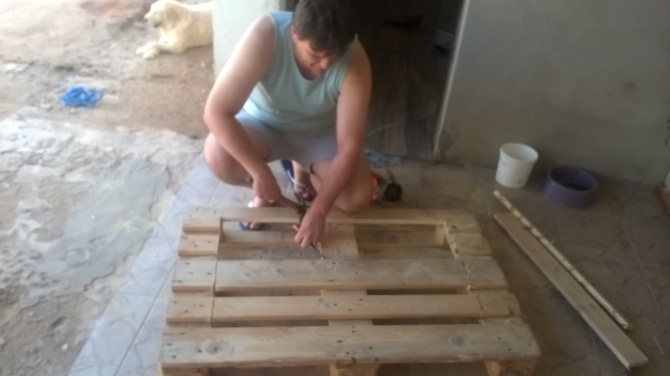 In this DIY article we are going to have a look on the making procedure of a pallets TV stand that is entirely made of wooden pallets. 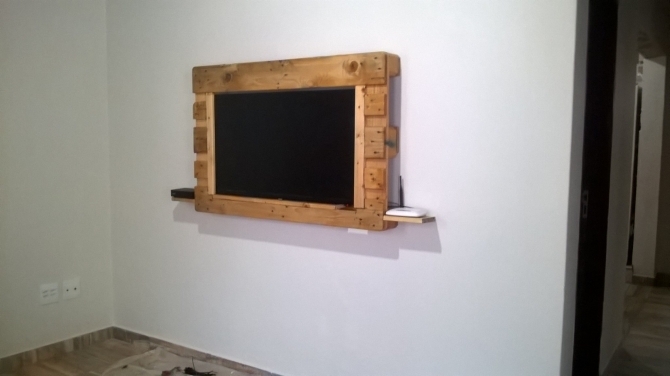 Have a look on the below project where you can see a pallets TV stand, its rustic dingy look is pretty appealing. This DIY article is going to be a real source of pleasure and aesthetic beauty and charm for your home interior. A whole pallet is cut to size where TV is fixed easily. First of all take raw pallet, place it on the ground facing the front upward. 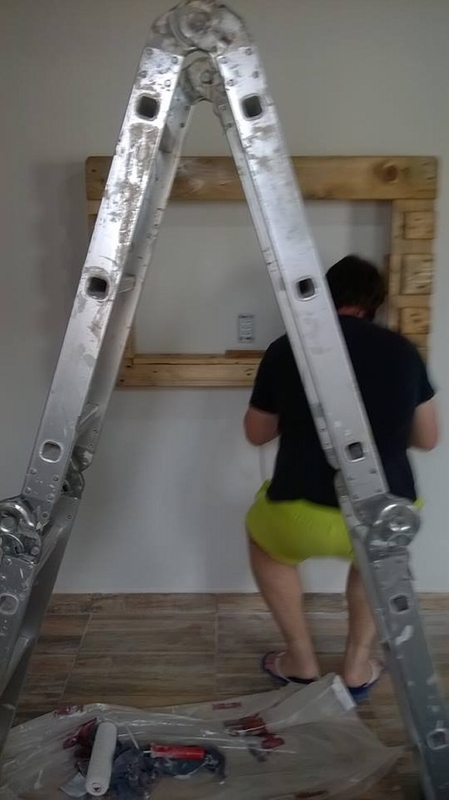 Now take the measurements with inches tape, and according to the exact size of the TV, start cutting the planks extensions that are joining the both ends meet. Since you are done cutting the internal wooden pallet planks, put the TV inside the rectangular shaped box and re confirm the measurements. You can use some additional pallet planks to accurately adjust the TV set inside the pallets TV stand. 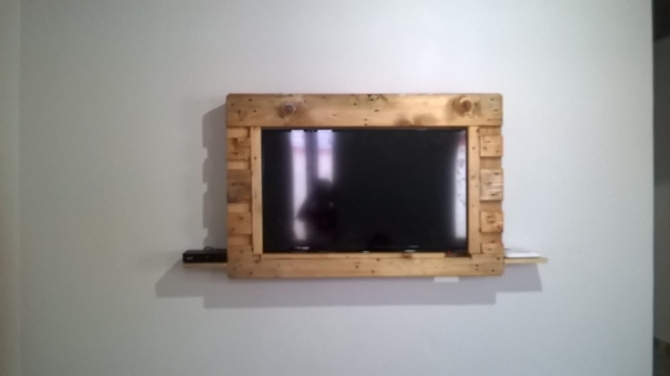 You are done with the basic structure of this TV stand recycled with the pallets. Now do some fine sanding with a quality sanding paper. Then you can varnish and stain it according to your choice. And after all these basic procedures, this pallets TV stand is all set to be installed in the wall where your TV set would stay safe and sound, away from all the possible perils. And along with that it would immensely compliment to your home interior. Try making this out at your own.